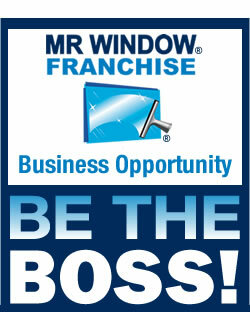 11/19/09: Mr Window® gives back to schools at Educational Summit. 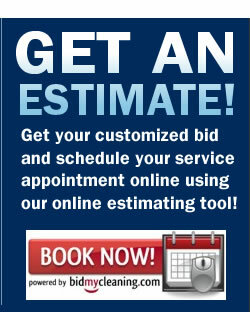 SUBSCRIBE TO OUR E-NEWSLETTER GET COUPONS, CLEANING TIPS, & MORE. Our main office is in Lake Elsinore, California but our window cleaning services are available everywhere in Southern California. 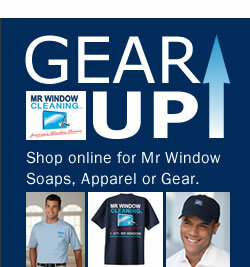 Mr Window Cleaning provides the best window cleaning services in Los Angeles County. For expert window cleaners the following Los Angeles County cities can depend on Mr Window Alhambra 91801, 91803 Altadena 91001, Arcadia 91006, 91007, 90071, Arleta 91331, Artesia 90680, Athens 90044, Atwater Village 90039, Azusa 91702, Baldwin Hills 90008, Baldwin Park 91706, Bassett 91746, Bel Air Estates 90049, 90077, Bell 90201, Bell Gardens 90201, Bellflower 90706, Beverly Glen 90077, 90210, 90210, 90211, 90212, Boyle Heights 90033, Bradbury 91010, Brentwood 90049, Burbank 91501, 91502, 91506, 91523, 91510, Carson 90745, 90746, 90747, Carson 90810, Castellemare 90272, Century City 90067, Cerritos 90701, Chatsworth 91311, Cheviot Hills 90064, Claremont 91711, City of Commerce, 90040, Compton 90220, 90221, 90222, Covina 91722, 91723, 91724, Crenshaw 90008, Cudahy 90201, Culver City 90230, 90232, Cypress Park 90065, Diamond Bar 91765, 91789, Dominguez Hills, 90747, Downey 90240, 90241, 90242, 90013, 90014, 90015, 90017, 90021, Eagle Rock 90041, 90022 ,90023, East Rancho Dominguez 90221, Echo Park 90026, El Monte 91731, 91732, El Segundo 90245, El Sereno 90032, Encino 91316, 91436, Florence 90001, Gardena 90247, 90248, 90249, Glassell Park 90065, Glendale 91201, 91202, 91203, 91204, 91205, 91206, 91207, 91208 , 91214, 91204, 91205, 91046, Glendora 91740, 91741, Glenoaks 91504, Granada Hills 91344, Griffith Park 90027, Hacienda Heights 91745, Hancock Park 90004, 90020, Harbor City 90710, Hawaiian Gardens 90716, Hawthorne 90250, Hermosa Beach 90254, Highland Park 90042, 90028, 90029, 90038, 90068), , Huntington Park 90255, Hyde Park 90043, City of Industry, 91744, 91746, 91789, Inglewood 90301, 90302, 90303, 90305, Irwindale 91706, Jefferson Park 90018, La Canada-Flintridge 91011, La Crescenta 91214, La Habra Heights 90631, La Mirada 90638, 90639, La Puente 91744, 91746, 91745, 91748, La Verne 91750, Ladera Heights 90056, Lake View Terrace 91342, Lakewood 90712, 90713, 90715, Lawndale 90260, 90261, 90045, Leimert Park 90008, Lennox 90304, Lomita 90717, Long Beach 90802, 90803, 90804, 90805, 90806, 90807, 90808, 90813, 90814, 90815, 90822, 90840, 90846, North Long Beach 90805, 90831, 90832, 90009, 90071, Los Feliz 90027, Los Nietos 90606, Lynwood 90262, 90265, 90266, Mar Vista 90066, Marina del Rey 90292, Maywood 90270, Mid City 90019, Monrovia 91016, Montebello 90640, Montecito Heights 90031, Monterey Hills 90032, Monterey Park 91754, 91754, 91756, Montrose 91020, Mount Olympus 90046, Mt. Washington 90065, North Hills 91343, 91601, 91602, 91604, 91605, 91606, 91607, North Long Beach 90805, Northridge 91324, 91325, 91330, Norwalk 90650, Pacific Highlands 90272, Pacific Palisades 90272, Pacoima 91331, Palms 90034, 90274, Panorama City 91402, Paramount 90723, Park La Brea 90036, 91101, 91103, 91104, 91105, 91106, 91107, 91125, 91126, Phillips Ranch 91766, Pico Heights 90006, Pico Rivera 90660, Playa del Rey 90293, Playa Vista 90094, Pomona 91766, 91767, 91768, Porter Ranch 91326, Rancho Dominguez 90220, Rancho Palos Verdes 90275, 90717, 90732, Rancho Park 90064, 90277, 90278, Reseda 91335, Rolling Hills 90274, Rolling Hills Estates, Rosemead 91770, Rosewood 90222, Rowland Heights 91748, San Dimas 91773, 91340, San Gabriel 91775, 91776, San Marino 91108, San Pedro 90731, 90731, 90733, Santa Fe Springs 90670, 90401, 90402, 90403, 90404, 90405, Sawtelle 90025, Shadow Hills 91040, 91403,91423, Sierra Madre 91024, Signal Hill 90755, Silverlake 90026, South Central 90001, 90003, 90007, 90011, 90037, 90047, 90061, 90062, South El Monte 91733, South Gate 90280, 91030, South Whittier 90605, Studio City 91604, Sun Valley 91352, Sunland 91040, Sylmar 91342, Tarzana 91356, Temple City 91780, 91358, 91360, 91362 Toluca Lake 91602, Topanga 90290, Torrance 90501, 90502, 90503, 90504, 90505, 90506, 90277, 90278, Tropico 91204, 91205, Tujunga 91042, Universal City 91608, Valinda 91744, Valley Village 91607, Van Nuys 91401, 91402, 91403, 91405, 91406, 91411, 91423, Venice Beach 90291, Verdugo City 91046, Vernon 90058, View Park 90043, Walnut 91789, Walnut Park 90255, Watts 90002, 90059, West Adams 90016, West Beverly 90048, West Covina 91790, 91790, 91793, West Fairfax 90035, 90069, West Los Angeles 90025, Westchester 90045, Westlake 90057, Westwood 90024, Whittier 90601, 90602, 90603, 90604, 90605, Whittier 90608, Willowbrook 90059, 90222, Wilmington 90744, Wilshire Blvd 90010, Windsor Hills 90043, Winnetka 91306, 91510, Woodland Hills 91364, 91367, 90831, 90832, 92698. In Orange County depend on the best window cleaners in the following cities Atwood 92811, Brea 92821, 92822, 92823, Buena Park 90620, 90621, 90622, 90624, Capistrano Beach 92624, Corona Del Mar 92625, Costa Mesa 92626, 92627, 92628, Cypress 90630, Dana Point 92629, 92650, El Toro 92609, Foothill Ranch 92610, Fountain Valley 92708, 92728, Fullerton 92831, 92832, 92833, 92834, 92835, 92836, 92837, 92838, Garden Grove 92840, 92841, 92842, 92843, 92844, 92845, 92846, 92605, 92615, 92646, 92647, 92648, 92649, 92602, 92603, 92604, 92606, 92612, 92614, 92616, 92618, 92619, 92620, 92623, 92697, 92709, 92710, La Habra 90631, 90632, 90633, La Palma 90623, 92694, , Laguna Hills, , 92651, 92652, 92637, 92653, 92654, 92607, 92677) Lake Forest 92630, Los Alamitos 90720, 90721, Midway City 92655, 92690, 92691, 92692, 92658, 92659, 92660, 92661, 92662, 92663, Newport Coast 92657, The City of Orange 92856, 92857, 92859, 92862, 92863, 92864, 92865, 92866, 92867, 92868, 92869, Placentia 92870, 92871, Rancho Santa Margarita 92688, 92672, 92673, 92674, San Juan Capistrano 92675, 92693, Santa Ana 92701, 92702, 92703, 92704, 92705, 92706, 92707, 92711, 92712, 92725, 92735, 92799, Seal Beach 90740, Silverado 92676, Stanton 90680, Sunset Beach 90742, Surfside 90743, Trabuco Canyon 92678, 92679, Tustin 92780, 92781, 92782, Villa Park 92861, Westminster 92683, 92684, 92685, Yorba Linda 92885, 92886, 92887 our window cleaners are not limited to these areas we also provide window cleaning services in the following counties Riverside, San Bernardino, San Diego and Ventura counties.